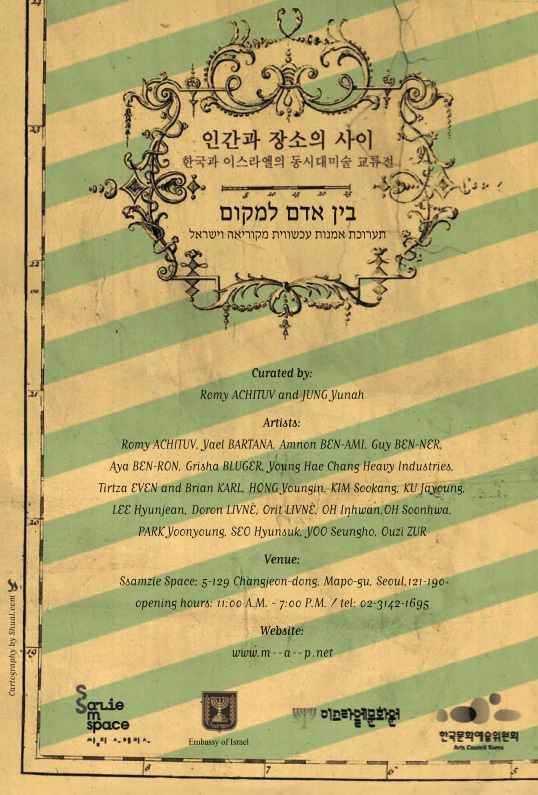 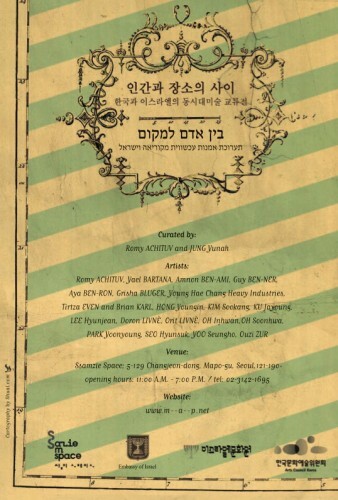 Between Man and Place was an exhibition of Korean and Israeli artists curated by Romy Achituv and Jung Yunah. 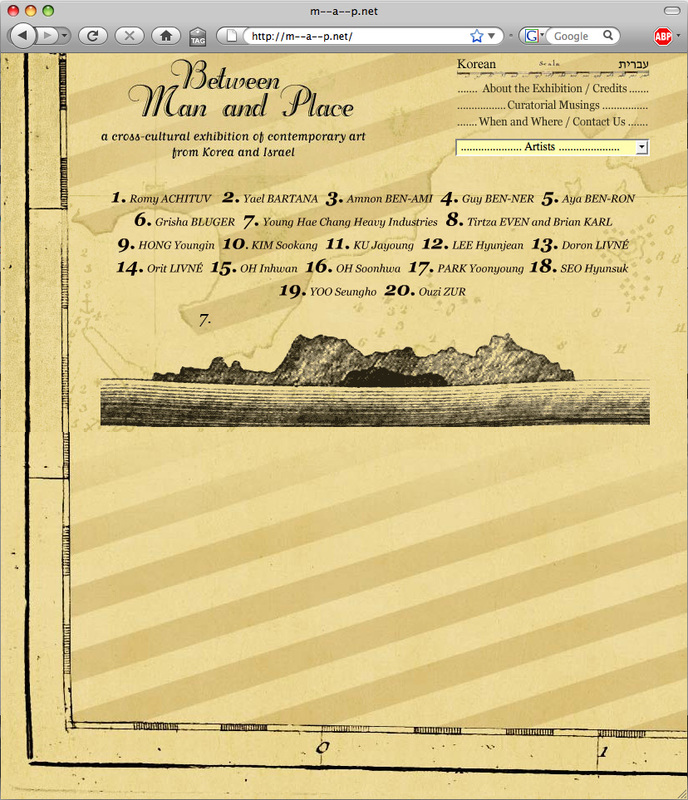 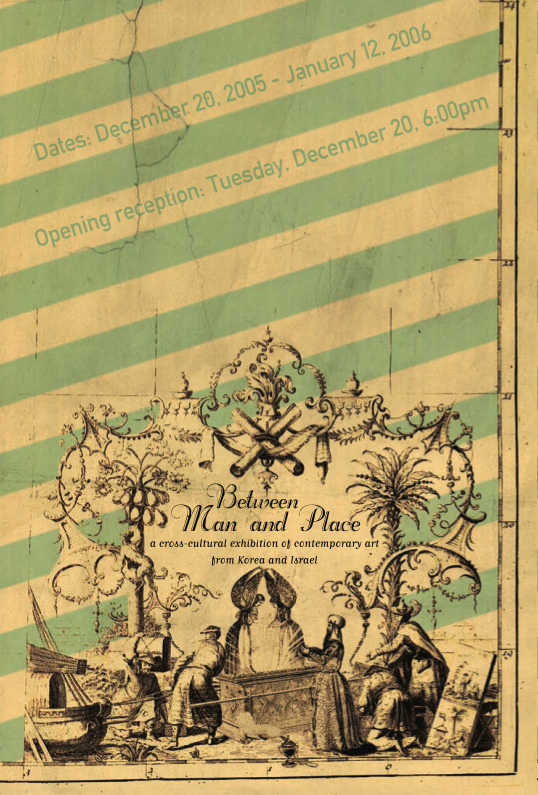 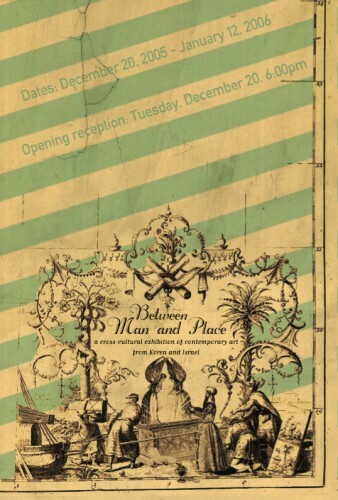 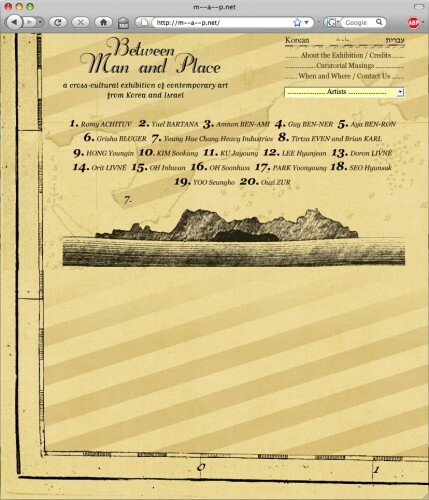 Between Man and Place seeks to draw attention to the variety of ways in which its participants’ relationship to the language, time, and space of their particular locale finds expression in a world undergoing rapid globalization. 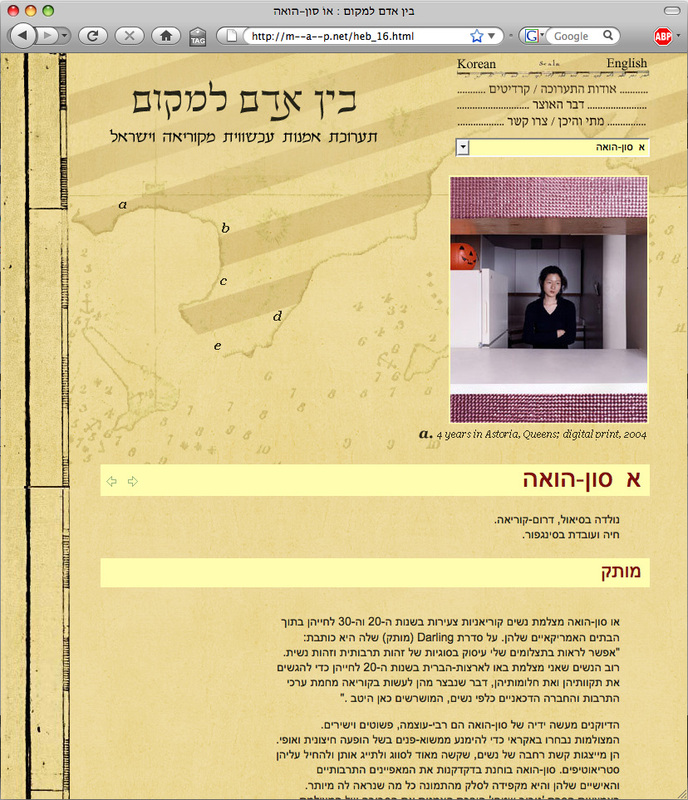 We designed the website, the invitations and the poster.